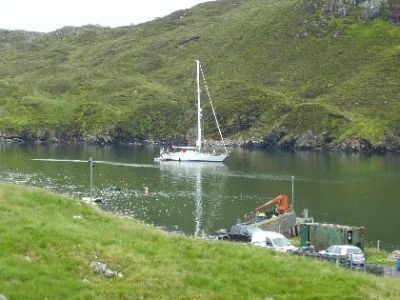 Overlooking West Loch Tarbert, you can see an abundance of wildlife. Regularly spotted : The great northern diver, breeding buzzards and a breeding pair of Golden Eagles. Apart from these, we have a resident otter family and a variety of seabirds, too many to list here.